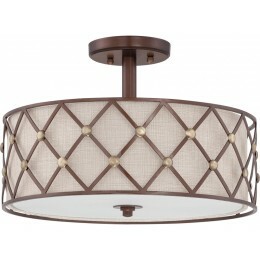 Elegance in design is heightened with the Brown Lattice Collection by Quoizel. 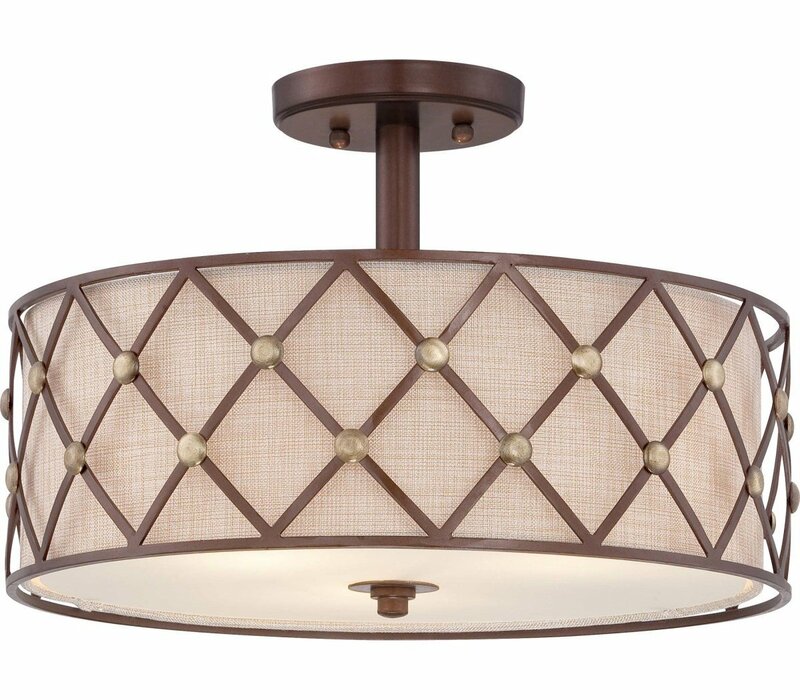 The crisscrossed metal shade is studded with faux brass accents and adds visual depth to the fixture. The Copper Canyon finish contrasts beautifully with the enclosed tan fabric shade. 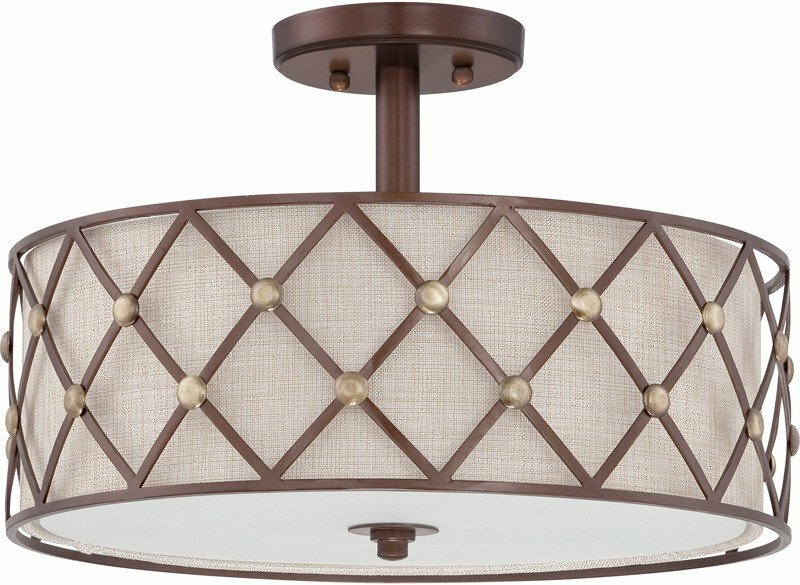 The Quoizel BWL1717CC Brown Lattice collection Close to Ceiling Lighting in Copper Canyon uses Fluorescent light output and brings Traditional style. This item is 11"H x 17"W x 17"L. The wattage is 100. The Quoizel Lighting BWL1717CC requires 3 bulbs (not included).